It's been a cold grey old weekend, ideal for staying indoors and watching the rugby yesterday. 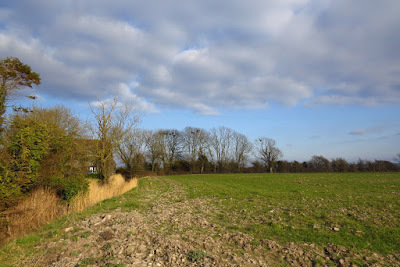 Today however I began to develop cabin fever, just as the clouds parted. Blue sky began to eradicate the grey blanket and sunshine filled the early evening sky. Thus just as the clock struck 4pm I headed over to the village for an hour. 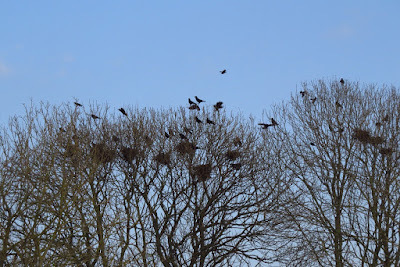 I've been meaning to do this for a week or so as the rooks are in full nest building mode now. They're moving about the village this year, not sure if they've been disturbed or just fancy a change, but some quite young trees are being colonised quite rapidly. Driving through every day to work I've watched five nests occur in trees over the road in just a week and a couple of singles now occupy outlying trees, like sentries to the main garrison. I have a soft spot for all corvids and in those brief minutes as I cycled around the village, camera and binoculars swinging precariously, I managed to spy a good number of rook and jackdaw, carrion crow, 6 magpies together in a flock and a raven, which took me by surprise. 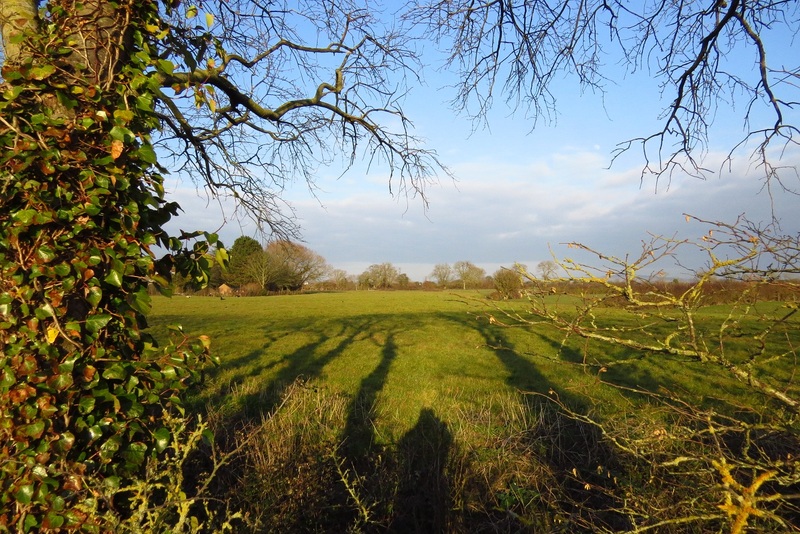 We don't get many jays in this part of Somerset as most trees are ash and sycamore on the wet moor grassland but no matter, I was in my element. 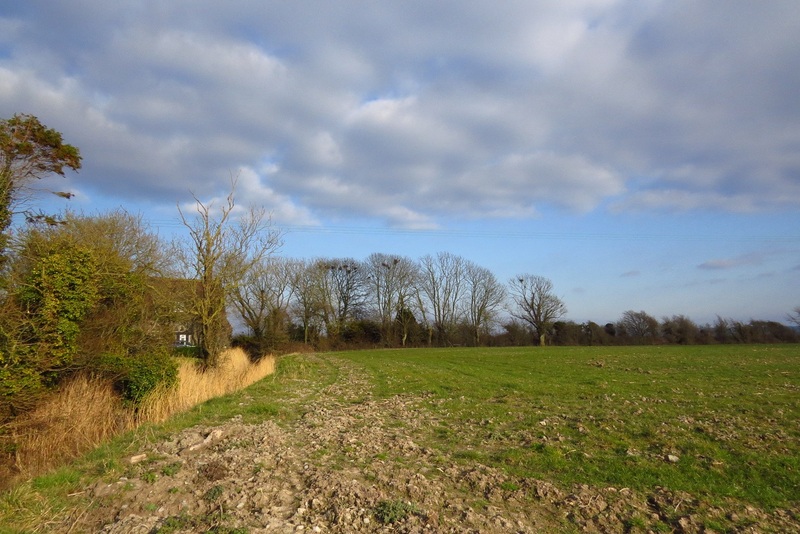 There have been two rookeries around the village for years, about half a mile apart. 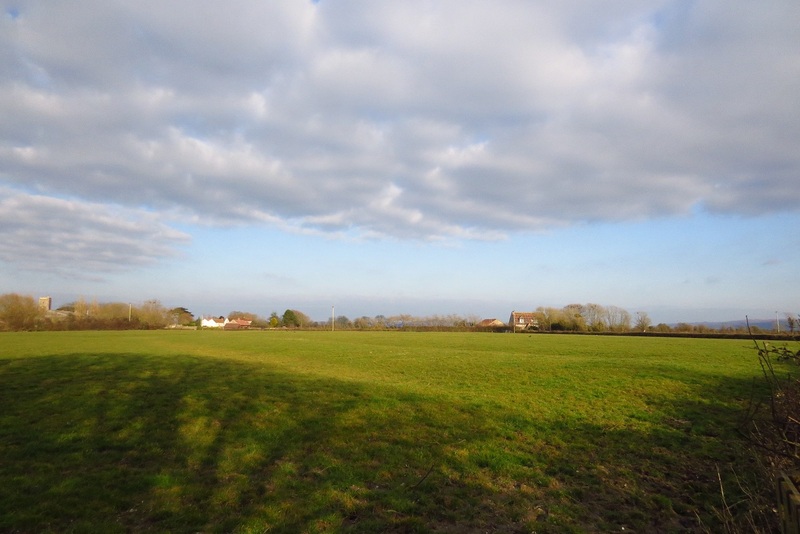 One by the village hall (above and below) and one by Cedar Farm. A lot of activity today, jostling, calling, flying in with twigs, back out again to plunder, with about half and half rook and jackdaws in the trees. 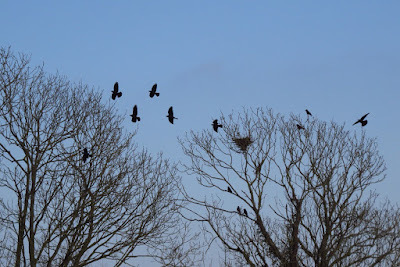 I was surprised to see so many jackdaw pairs in amongst the rook nests but they offer mutual protection and as the jackdaws aren't nesting yet, why go elsewhere. Conserve your energy. There were ten nests here and it was lovely to see the jackdaws noisily wheeling over the rookery too. 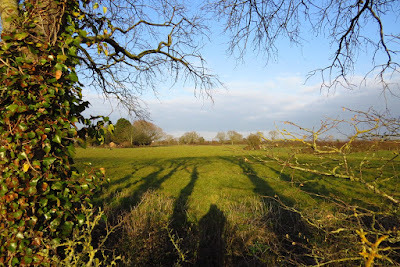 Just a few hundred yards away the new nests are being built and as I stopped my bike underneath the trees which can only be 20 years old, they noisily chastised me for disturbing them. 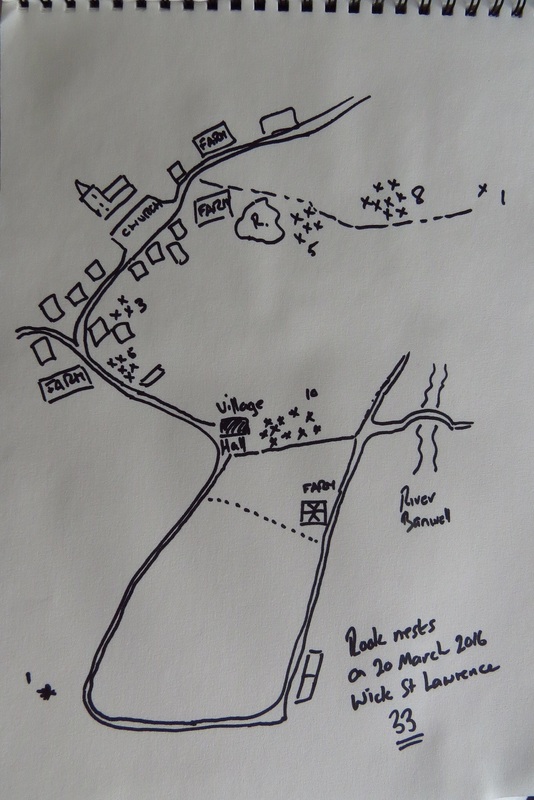 I cycled on into the village and passing Cedar Farm I hear a strange guttural sound, almost like someone is being strangled call. 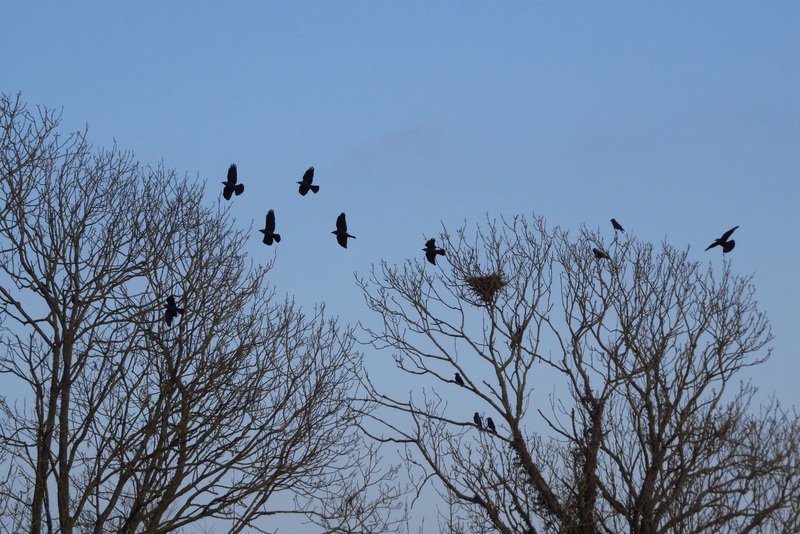 I recognised it instantly over the rooks relentless caw cawings... a raven. 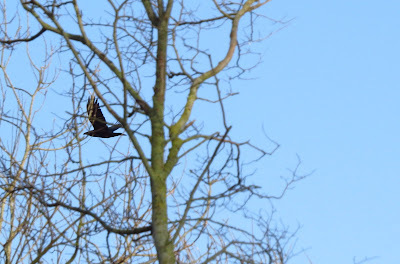 I watched a pair of ravens repeatedly barrel rolling last weekend over a copse at Tyntesfield and can therefore only assume they are nesting more frequently all around this area now. 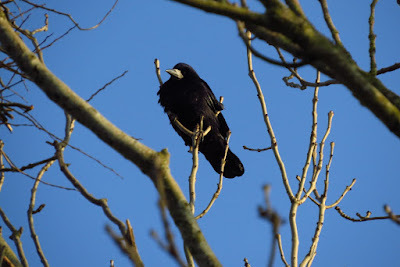 Ravens were always present in winter as they loafed about the coast a couple of miles away but in spring usually disappeared to the Mendips of South Wales both about 15 miles away as the raven flies. Anyway this one was in the huge cedar that stands guard over the farm. 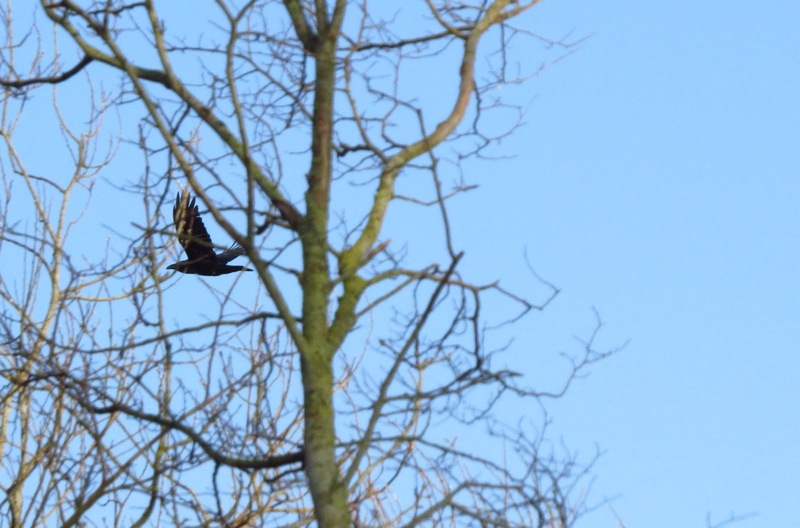 As I listened the more familiar cronk cronk emerged from the dense foliage and it was off over the fields - just time for a quick record shot before it headed over to the coast. I heard it again ten minutes or so later but didn't see it. That cedar would be a perfect nest platform for the raven, whose nest is absolutely huge. My fingers are crossed. What a lovely way to spend an hour on the Sunday of the Spring Equinox. 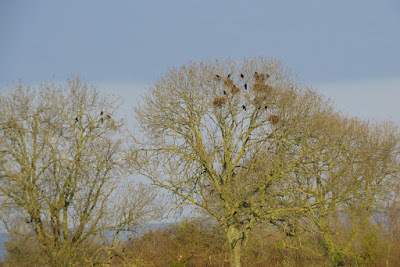 In total I counted 33 rook nests. 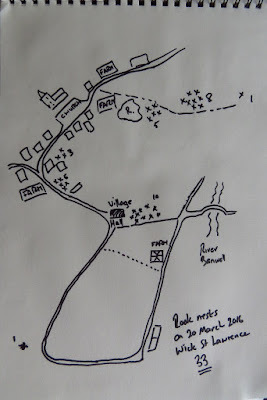 Back home I quickly sketched a map to show their location. The two single nests intrigue me as they are both about a quarter of a mile from any other nests. Outliers? young birds unsure of their position in the flock? I hope they do okay as one in particular had a carrion crow observing it. It's safety in numbers now that spring has arrived.